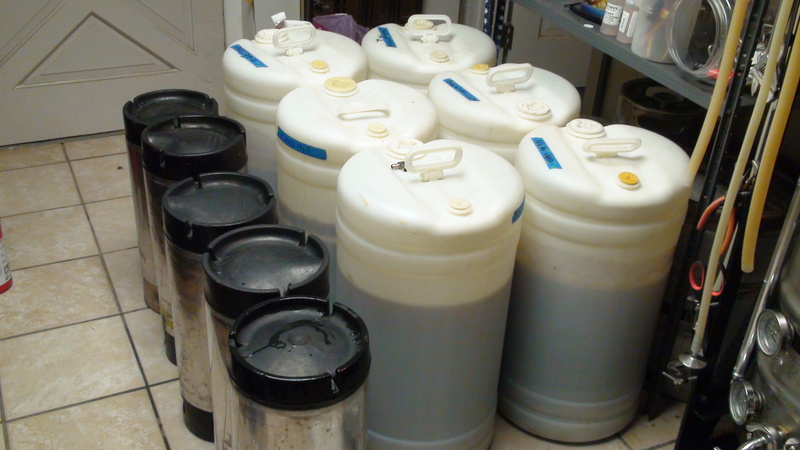 Kegging your beer involves four steps: cleaning, transferring filtering, carbonating. I like to clean my kegs right before I keg new beer. This saves on cleaner and as you will read, makes the process very efficient. You will actually use your actual 1/2 barrel brewhouse for most of this process. I typically keg 1-2 10 gallon batches at time. This entire process will take about 4-5 hours depending on a lot of things. Ready to keg some beer!